History tends to neglect revolutions incited by women. Sure, there’s Rosa Parks and Florence Nightingale but less prominent names include Madame Nwanyeruwa, Edith Abbott, Asmaa Mahfouz, Marie Curie or even my country’s Kate Sheppard. In a future where half the world’s population has almost achieved intellectual liberation, we can expect tomorrow’s history to have many more. 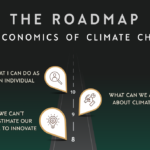 Kate Raworth should become one of them—though her chances are slim. She’s perilously ahead of her time. My bet is that when the inevitable economic revolution does occur, she’ll be mentioned in its prologue. 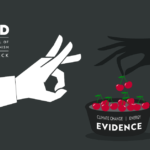 Doughnut Economics: Seven Ways to Think Like a 21st-Century Economist will provide the evidence. Most details in Doughnut Economics are incontestable: “Seeing comes before words”. When Adam Smith’s Wealth of Nations was published, the economy was 300 times smaller, and human population was under one billion. “We are the first generation to know that we are undermining the ability of the earth system to support human development”. “No country has ever ended human deprivation without a growing economy. And no country has ever ended ecological degradation with one”. Most themes in Doughnut Economics are (politically, socially and financially) unimaginable: “Economics is not about discovering laws, it is essentially a question of design”. “What we need are economies that make us thrive, whether or not they grow”. Good is not forward-and-up, good is in-balance. Twenty-first Century economics is the study of the market, the state, the household, and the commons—all embedded together. “[Economic] systems can’t be controlled but they can be designed and redesigned”. Like finance, economics is made up. It’s a construct of our collective human understanding, refined by trial and error through observing the rise and fall of societies, trends and imagined truths. Maybe that’s why Thomas Carlyle, the scottish philosopher, called it the “dismal science” all those years ago. Raworth doesn’t bother with dismal, she instead calls economics out for being directionless. Economics matters—a lot—so where are its goals, she asks. For the irreligious amongst us, the hard sciences of physics, chemistry and biology contain unchangeable laws the natural world always obeys. So why then should the unnatural ‘science’ of economics obey them too? Why don’t we simply devise a goal (or goals) and design an economic system with rules that, to take a Raworth example, “strive to make us thrive”? Because of Gross Domestic Product (GDP) of course. Or to put the same point bluntly, because of our obsession with growth. 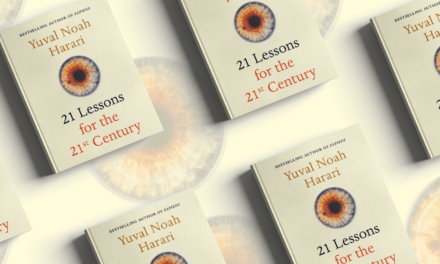 To understand modern economics, history super-heavyweight Yuval Harari contends, “you really need to understand just a single word”. Raworth reinforces repeatedly that growth—and its metric GDP—has “hijacked” economics. But what of the fact growth has pulled hundreds of millions out of poverty and will pull hundreds of millions out yet? No no, Raworth doesn’t bypass the great feats of ‘growth’, instead she stresses that this is not enough—not today anyway. Left to itself, growth is not sufficient in a contemporary world that is already strained under the enormous weight of its own incessant appetite. That’s why we all need to stop eating more as a matter of necessity. Yes, we could all do with a doughnut: that sweet spot between our Planetary Boundaries and our Social Foundations. Most of us have been fed ‘true’ stories that we eventually have to grapple with for being false. Father Christmas, despite best efforts, is perhaps the most obvious. And so it is with another story we’ve been fed since the 1980s. Neoliberalism— despite the hungover hype that persists—had Strike 1 in the noughties (inequality’s staggering ascent), Strike 2 in 2008 with the Great Financial Crisis (the zenith of financial deregulation), and Strike 3 in the now with our slow-boiling climate predicament at the point of no return. Before some who lean right dismiss Raworth as an Oxfam-inspired socialist and me as her apologist, let’s be clear. The false story that’s been unravelling is not capitalism itself; rather, its unfettered laissez-faire cousin. That’s my interpretation anyway. She may differ, slightly. True to her word, Raworth doesn’t go pulling out the carpet from beneath all our feet without supplying us with a replacement. She resurfaces the story, not with a new story, but with a rearranged story. Reprioritised and renewed, the 21st Century story starts (unimaginably) with the environment and society before the economy. That might not seem as much of a surprise as Santa coming before Christmas, but that doesn’t mean there won’t be tears. For those who’ll cry out at Raworth’s audacity, they might be wise to ask themselves: what is it that an economy depends upon to be an economy at all? One of the e-nvironmentalist’s favourite thinkers, Herbert Simon, saw through the doctrine of rational man long before 2002 economics Nobel laureate Daniel Kahneman came along. Back in the festive ’50s, Simon pitched that, in fact, “our rationality was severely bounded”. In other words, Homo economicus—the idea that man embodied a near-perfect, rational decision-maker—had a potential challenger on its hands. As the discipline of Behavioural Economics developed in the latter half of the 20th Century, its challenger status also developed: into what might now be best termed a shadower. That shadower weighs heavily on the economics profession today. Like weeds growing out of compost, cognitive biases (flaws in our decision-making ability) sprouted from university psychology departments at ever-increasing rates. Raworth takes satisfaction in pointing out that there are now 160 such biases listed on Wikipedia alone. Latching onto the mis-informed economic notions of neoliberalism (and its three strikes set out above), shadower organisations have become more energised. Alternative Economics, the New Economics Foundation and the Rethinking Economics movement are here, and they’re not leaving. In fact, Rethinking Economics just published their first manifesto, Rethinking Economics: An Introduction to Pluralist Economics. Raworth isn’t leaving either. She readily points out that coupled with the biases that bat our self-righteousness down, the very fact we’ve been conditioned to think we’re individualistic and self-interested—as you’d suspect—has had flow-on social effects. It’s not rocket science posits Raworth (and Robert Frank, who she quotes): if we study what we are, we might just become what we study. This is not theory, it’s fact. Raworth even uses fact to incriminate. “Economics professors give significantly less money to charity than their worse-paid colleagues in other disciplines”. Fortunately, Raworth doesn’t simply decry her profession and the self-portrait we’re painting for our species—she also pulls out her own paintbrush. The result is bright in ambition but modest in means. The opposite, it would seem, to our human nature. Raworth essentially makes two arguments: (i) a case for treating economics like we tackle complexity in any other discipline, with caution, care and dynamism; and (ii) a case for inviting ethics to sit at the economics table. Neither should be unimaginable, she argues. (i) Embracing complexity: Economics is a notoriously complex subject, so why should we treat it with certainty? A simple example helps illuminate Raworth’s point. 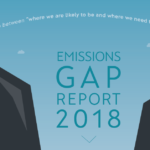 The economic externalities of climate change have been well documented, but to make doubly sure: CO2 (or another GHG) is emitted into the atmosphere by industry for free > that causes atmospheric warming > warming incurs costs on current and future generations. How come economics hasn’t evolved to embrace this new variant with all its associated costs? Because economics—incorrectly—is cast as an exact science, devoid of the variables of boom and bust, ecological collapse and negative feedbacks. Raworth argues—correctly—that economics needs to be able to evolve, or be evolved. (ii) Economics’ “Hippocratic Oath”: The image of the Doughnut could well capture the popular imagination of budding economists. Raworth’s ethical guide, however, will not. Her four proposed principles—act in service to human prosperity, respect autonomy in the communities you serve, be prudential in policymaking, and work with humility—lack the zest of many of her other ideas and, well, seem of Oxfam-origin. The video says it exceptionally well, so let’s keep this one brief. For ardent capitalists and so-called ‘socialists’ alike, inequality gets in the way. For capitalists, it undermines economic growth to the tune of billions of dollars a year; for ‘socialists’, inequality breeds social discontent and is downright unfair to those with next to no opportunities to start with. But despite what our capitalist readers’ intuitions might be whispering, Raworth is distinctively pro-prosperity. Taxing capital, not income? 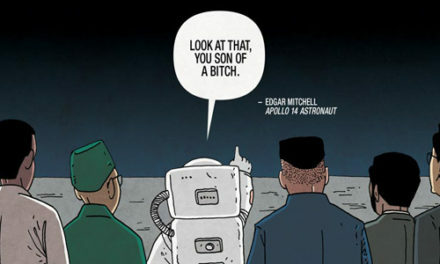 Unimaginable, but that will never stop those who imagine a brighter future continuing to propose it. Raworth’s Doughnut joins the likes of Thomas Piketty’s Capital, Richard Wilkinson and Kate Pickett’s The Spirit Level, Joseph Stiglitz’s The Price of Inequality and, perish the thought, Donald Trump, who remind us that something’s not quite right. All of them, with the obvious exception of the latter, provide us with a path forward. “Eventually, a one-way system destroys the landscape on which it depends… this is a degenerative system, devouring the sources of its own sustenance”. Like telling a chain smoker with cancer they’re banned from smoking, Raworth insists that our wilful blindness is curable. 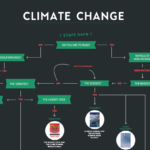 All the environmental buzz words get air time—the Circular Economy, Cradle-to-Cradle and CSR—but unlike the ‘C’ words, there are also glimpses of substance. Seattle’s Bullitt Center, California’s Newlight Technologies, Amsterdam’s Park 20|20, Brazil’s ProComposto and Australia’s Sundrop are included to provide us with hope. But (and it’s a big one), after coming this far, they seem all too like exceptions that prove the rule. Only yesterday, 15,000 scientists warned humanity that the rule is alive, and doing well. In 2010, I read fellow challenger economist Tim Jackson’s Prosperity Without Growth (2009) and left thinking it was aspirational but well short of inspirational. 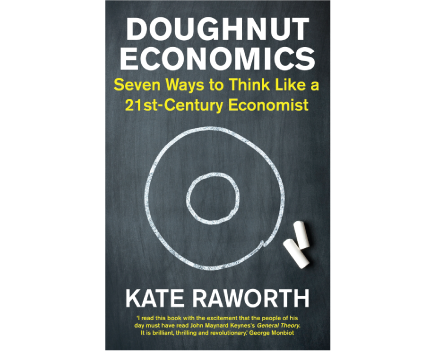 Kate Raworth’s Doughnut Economics is both inspirational and aspirational. Her Doughnut gives people a memorable reference point, her anecdotes weave narratives around facts and her relentless optimism pulls your eyes into your heart. Most of all she’s easy to agree with, and hard to deny. Up against mindless economic growth—our system’s supreme good—change can seem all a bit fanciful. But like all revolutions, a man—or a woman—refusing to take refuge in the false-security of consensus is how it starts. 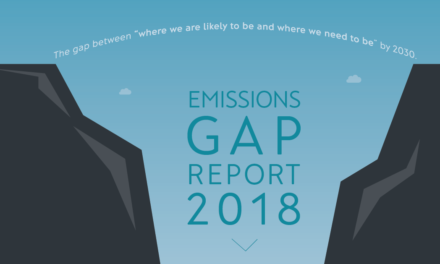 * To gauge just how far we’re transgressing our ‘Planetary Boundaries’ and damaging the economic systems that future (and current) generations will rely upon for prosperity, check out our series Bluey. NextWhat If Smartphones Had Warning Messages?